Lysol No Touch Hand Soap Dispenser Classic White New Unopened. Condition is New with tags. Includes dispenser and batteries. Hemlock is a nice light cream color with beautiful straight grain pattern. 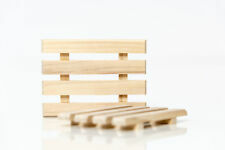 A highly water resistant wood perfect for soap dishes. a soap dish significantly extends the life of a bar of soap - but did you know that you can also extend the life of your soap dish?. This regular mouth canning jar, Mason Jar, lid band that is made of 304 stainless steel 3 peices. 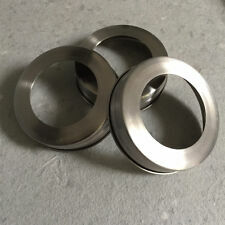 High quality stainless oxidation resistant lids to fit regular mouth / small mouth mason jars. These lids can be used for a number of crafts. 500 ml: Wandseifenspender in Weiß mit 500 ml Fassungsvermögen - H x B x T: 28 x 8 x 15 cm. Denn Bakterien lauern überall. Der Wandspender sorgt für einen besonders hygienischen Waschvorgang der Hände. 12 aromatic Spanish Cedar soap dishes - SPECIAL LOW PRICE - Handmade in USA! You and I both know that using a soap dish that allows the soap to quickly dry out increases the life of your soap. Did you know that it is also possible to increase the life of the soap dish?. My answer is "Yes and no.". Poplar wood is primarily white in color, but also varies and may include, cream, tan to brown and different shades of green. A soap dish significantly extends the life of a bar of soap - but did you know that you can also extend the life of your soap dish?. 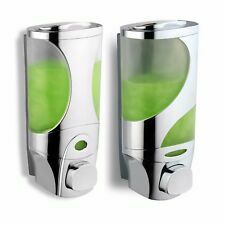 6 Mason Jar Soap or Lotion Dispensers - Several Colors, 6 dispensers in All! Primitive Farmhouse Decor Bath/Kitchen Soap Dish Features. Soap Dish Holder. 3.25" overall depth. The angle layout of this dish allows less surface area for the soap to stick to, and allows for quicker run off of water, which causes the soap to dry out quicker. 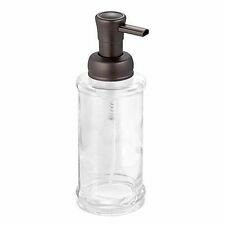 The Progressive soap/lotion dispenser features a 12.5 ounce capacity for lotions or soaps and a rubber non-skid, non-marring base. The extra long spout allows this dispenser to easily apply soap to brushes and sponges or to pump soap directly into the sink. This dispenser comes unfilled and is dishwasher safe. FLÜSSIGSEIFE ROT / WASCHLOTION ROT / WASHLOTION RED. Hippes Baddesign, cooles Upcycling einer Original Jack Daniel`s Whisky Flasche, gefüllt statt mit Whisky mit roter bzw.rosafarbener Flüssigseife. Seifenspender 0,7 Liter inkl. Silver Plated / ESPN. Holder Pot. Art Deco / Antique. 1.25" height. 2-pack or 3-pack also inside listing for extra savings! 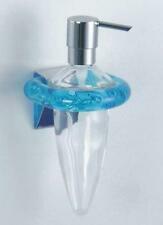 Soap/Shampoo Dispenser -. 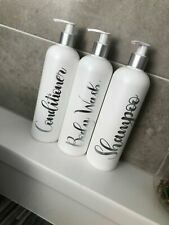 Classic and stylish design easy to use and clean, can be used with soap, shampoo or shower gels. Wall mounted with the fitting include ready to install. (The link can be found at the top right hand side of our page). It stands about 1" deep, 6" long and just over 4" across. 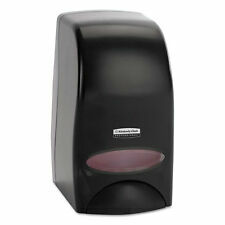 These refillable soap dispensers are an economical alternative to buying new bottles over and over. Simply fill with your favorite soap or lotion and place in the bathroom, kitchen, or anywhere there is a sink. Stainless look. Includes dispenser, hand soap and batteries. Black with White specks Plastic Soap Box Dish Holder. Made of plastic. 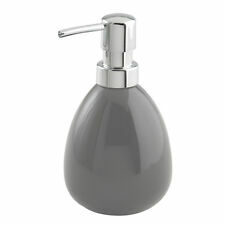 This Clear Mason Ball Jar has been re-purposed into this decorative Soap Dispenser with a Brushed Stainless finished soap pump top. They are not plated plastic that is going to break after a month or so. White look. Cleansing green tea & ginger scent. Includes dispenser, hand soap and batteries. FES POTTERY. A Beautiful example of Traditional Fes Pottery. Soap Dish for the Wall. NOT SUITABLE FOR MICROWAVE OVEN OR DISHWASHER. There is a hole at the top forattaching to the wall. Hand Painted. Moroccan Slippers and Gift Solutions for the Whole Family. I also buy broken down vehicles to part them out. If you are interested in a different part from a vehicle I have, feel free to ask. I have lots of inventory that isn't listed. 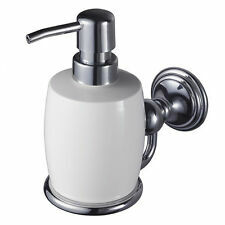 Simply fill this attractive soap dispenser with liquid soap and water. Save on liquid soap—turn it into foam! The non-aerosol pump adds the needed air to turn it all into rich, luxurious foam, reducing soap consumption by up to 75%. TURTLE WAX INC Scratch Removal Kit T234KT. Condition is New with tags. Shipped with USPS Priority Mail. CRABTREE & EVELYN OVAL WHITE PORCELAIN SOAP DISH 7 1/2" X 3 3/4 " X 1 1/2 "